There are so many, but to list a couple..... 2008 - Winning the National Tour event (Brent Hambrick Memorial) in my hometown was probably the highlight of my disc golf career. I finished in 2nd place in 2007 behind Dave Feldberg so coming back the following year with a win was sweet! 2010 -Once again this was at the BHMO, but it will always be in my memorable highlight reel. I was tied for the lead with Nate Doss after round 1 and then had a bad 2nd round. Somehow I stayed in the lead group and trailed Nate by 5 strokes with one round left. I closed the 5 stroke deficit within half the round and actually had the lead by one after the round was over. Unfortunately I missed a putt during the final 9 to push things to extra holes, but another 2nd place NT finish was quite memorable. In 2013 I attended the Toronto Island Maple Leaf once again. It has always been one of my favorite tournaments of the year for various reasons. Some of my best friends live up there, the course is beautiful and the people around Toronto are great. That weekend I played solid in every round and found myself in the hunt going in to Saturday. 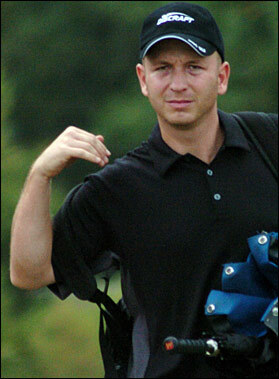 After the hot morning round on Sunday I held the lead by several strokes headed in to the fourth and final round. A long time friend, Avery Jenkins, battled back and forth with me the entire round, but in the end I maintained my four stroke lead. This was the second time I have won the TIML and I believe I was the first person to win this event for a second time! Some things to remember when working on your game, try to develop new shots! One example is to develop a forehand if you do not currently have one. Mastering this shot will ultimately give you so many options you currently do not have in your bag. It has saved me hundreds of strokes and gets me out of trouble almost every round I play! Go out to a field and practice throwing shots around 50 feet, then 100, etc. If you are unfamiliar with this shot, it takes time to develop a smooth release and confidence, but once you do it will save you too! Check this great video for forehand development. I have always tried to keep my casual rounds somewhat competitive and try to encourage others to do so as well. I think that a lot of people play very casual rounds and play great golf, but when it comes to a tournament round they play very poorly or below their expectations. We all know tournament golf is much different than casual golf, so try to keep the competition strong when you practice. Maybe put a side bet of some sort, play for bag tags, or something that will keep you in the right mind set for competition. It's also very important for you practice as if you were playing a tournament round. Just get in that routine so it's a comfortable feeling when you are really there. I see a lot of players practicing their distance... and only their distance! That seems to be a big thing to new players. Perhaps they feel that they are going to catch people's eye, which is true, but there is so much more on the road to success. Putting has got to be the biggest part of the game in my opinion. If you practice putting at least half as much as in other areas, your game will improve in strides. One other thing I see new players doing is throwing discs that are WAY too overstable for their experience and arm speed. When they do actually figure out how to throw that disc, their finesse is so limited that it has major impacts on the touch shots, low ceiling shots, and up shots. Start out with something that is easy to throw and work your way to the overstable stuff. Be patient! Throwing the long shot is something I have never figured out to be honest. I watch and experiment with different things and I have come to the conclusion that I can throw a max of 425 feet at best. Unless Discraft continues to make magic discs that go farther and farther, I am okay with 425. Many players are so determined to throw the long shot, it is all they practice. If I had to give advice, I tell people to figure out your footwork first. Be smooth with your release and quick with your hips and arm speed. I am not sure there is an easy way to describe gaining distance? It takes practice and god given talent. Don't get discouraged, if you park that 450 foot hole and miss the 18 foot putt, it didn't do you much good. Practice your putts! If you're looking to improve your putting, the best advice I can give you is to pick a style that is comfortable for you and go with it. If you look at the top players in the world, a lot of them have extremely different styles. So what does that mean? To me that means there is no right or wrong putting style. Pick what works for you and practice until the confidence is there. A key thing I try to tell new players is you must limit your three putts. 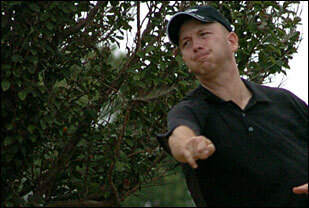 You can't be aggressive on every single putt as you would when you are out playing casually with friends. Also you have to keep the wind in mind when putting or approaching the longer putts. If you hate the headwind putts, keep that in mind when approaching... maybe throw the upshot about 10-15 feet long. One last thing you MUST do - KEEP POSITIVE! You can talk yourself out of a 12 foot putt if you try hard enough. Oh yeah...have fun too! Ohio's Brad Schick is a longtime member of Team Discraft, and continues to travel extensively in pursuit of his next victory. Cincinnati, OH One of my all time favorites. Rock Hill, SC One of the most mentally challenging courses ever. Ann Arbor, MI Awesome disc golf facilities! Columbus, OH Home course that molded my game for many years. Pittsburgh, PA Many layouts, all challenging and fair with great selections of shots. (max weight) This disc seems to be faster than anything in my bag and for open shots I will pull this disc out for max distance. With the Crank, I prefer to backhand this disc only to ensure I do not lose control. The speed of this disc is amazing!! (174 gm) The Nuke has been my go to driver since it was released. I love the speed and predictability the Nuke has brought to my bag. I have a few of these in the bag with different stability levels for many different shots. The Nuke has also been a great forehand disc for me. I go back and forth between the ESP and Z Nuke as my go to driver. I would have to say last year I used the ESP Nuke more than any other disc in my bag! (max weight) The ESP Surge has been my go to driver since its release. I currently have three in my bag, all of which are a bit more stable than the other. It's going to take a great new disc to replace these... it is my max distance and control disc. (max weight) My go to driver for forehand shots now, somewhat taking the place of my X Predator and Z Flick needs. I love the Force in the wind and have two in my bag currently for almost all forehands. 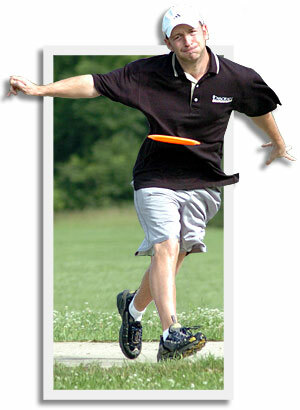 I will also use this for backhand shots if there are high winds...what a great disc! (max weight) The XS used to be my favorite driver for sure. I still have a beat up XS for a roller that will flip extremely quickly. They are not normally flippy rollers out of the box so you can pick up a lot of distance with them and as they get beat up they flip a bit faster. (max weight) The Z Stalker is a great disc for me when the Buzzz just won't make it there. You can put the Stalker on any line you want and it will stay there. I will grab the Stalker if the hole is over 300' because it is a controllable driver with mid-range characteristics. Get one in your bag if you don't have one already. (max weight) This disc has become my go-to midrange. They surely get beat a little faster since they are the Pro-D plastic, but that is what I prefer. They are such a true flyer and do exactly what you want time and time again. I have two white ones, one of which is beat up and the other is fairly new for windier conditions. I am looking forward to throwing the new GT Buzz, which I just got the other day. (max weight) The ESP Buzzz holds a definite spot in my bag for the more stable mid range shots. My preference is to throw the D Buzzz when possible, but the ESP plastic has such a nice feel and holds that stability that is needed at times. The Buzzz is one of the greatest discs ever made for sure! (max weight) This FLX plastic is a nice compliment to the ESP run. I use this disc when I need a more stable midrange disc. The FLX seems to be a bit more stable than the ESP, but still flies true like a Buzzz! (max weight) This has been my putter for a few years now and I am sad they have been discontinued. I still have a handful of the Swirls left and I am currently looking for a replacement. The Swirls are a straight flying, super soft putter that catch excellent. I used to putt with hard Magnets, but seemed to get a lot more spit outs. When I switched to the Swirls, my putting seemed a lot more consistent, and with consistency came confidence. I will most likely switch to the Soft Magnets when my supply runs out.